Food and wine, scenic sights and art are the stars of the show in the Huon Valley. A fertile region south of Hobart on the banks of the Huon River, it’s worth a visit for the natural beauty of sights like Hastings Caves and Thermal Springs and the mouth-watering restaurants of Huonville. 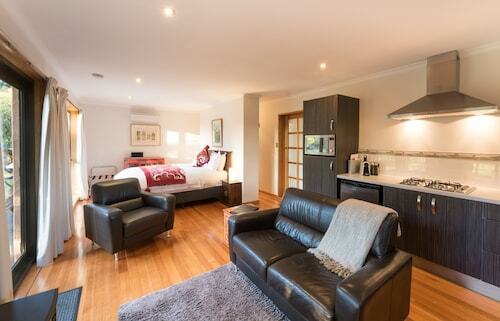 Book your Huon Valley hotel with us and lose yourself in the rich flavours and lush surrounds. The French admiral Bruni D’Entrecasteaux was the Huon River’s first explorer, who named it after his commander Captain Huon de Kermadec. After the British settled in Hobart in 1804, botanist Robert Brown explored the area but said the soil was too poor for anyone to live there. Lady Franklin took up ownership of the land in 1839 and divided it into 50 and 100 acre blocks that she sold to poor settlers. Over the next few years, apples and hops were grown successfully. Now the Huon region produces over half of Tasmania’s apples. Hastings Caves and Thermal Springs are down the lower end of the Huon region in the suburb of Hastings. Take a tour through the dolomite caverns of Newdegate Cave - the biggest tourist cave in the country - then kick back in the steaming water of the hot springs pool. If you don’t mind a decent hike, see the Huon from up high when you explore Sleeping Beauty. Made up of two mountain peaks – Trestle Mountain and Collins Bonnet – this track takes around a couple of hours. From the ground, the two mountains form the shape of a sleeping woman. There are several wineries in the Huon Valley, with a few located on the banks of the Huon River. Huonville is the centre of the Huon region and has a variety of great restaurants as well as mountain views that follow you around town. The Cygnet Art Trail in the hilly town of Cygnet gives you the chance to visit art galleries and artist’s studios and see local creative types at work. The Huon region is the gateway to Bruny Island, a 15-minute ferry ride from Kettering, famous for its seals and towering sea cliffs. 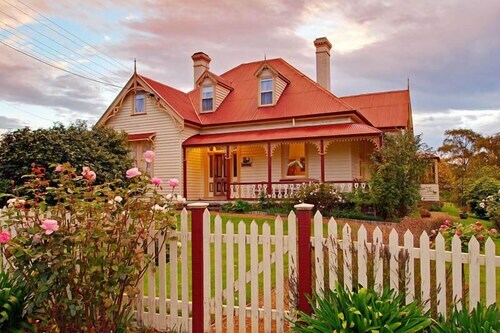 Book your Huon Valley accommodation and a flight to Hobart with us. From deep dark caves to local drops, there’s so much to find, explore and experience. How Much is a Hotel Room in Port Huon? 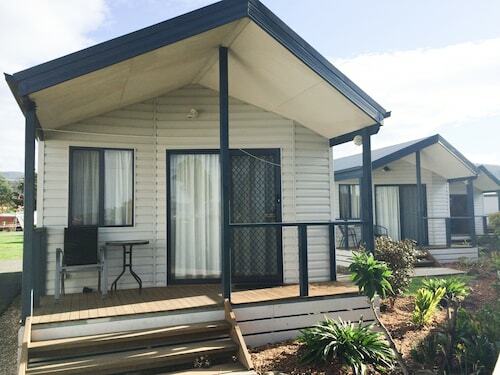 Hotels in Port Huon start at AU$124 per night. Prices and availability subject to change. Additional terms may apply.